According to a new report, Apple is in talks to acquire the streaming service best known for its celebrity tie-ins. Soon, Dr. Dre may not be the only rapper with a parking spot in Cupertino. The Wall Street Journal is reporting that Apple is currently in exploratory talks to acquire Tidal, the streaming music service owned by Jay Z. According to unnamed sources, these talks are still ongoing, and they may not result in a deal. A Tidal spokesperson denied being in talks with Apple. Update: "Two high-placed sources" told a New York Times writer that Apple is not buying Tidal. Tidal started out as a high-definition alternative to other streaming services. Since Jay Z acquired it in 2015 for $56 million, however, Tidal has become a hub for exclusive album premieres. In the last six months alone, Tidal has exclusively streamed new albums from Beyoncé, Rihanna, and Kanye West. To score these A-list exclusives, Jay Z has given these fellow artists small stakes in the company. Tidal currently boasts over 4 million paid subscribers, Apple Music counts with 15 million, and Spotify has 30 million. Currently, Spotify is fighting Apple over what it claims to be anti-competitive practices. Apple charges a cut from all streaming subscriptions via its App Store. Why this matters: Even though Tidal may seem like a dark horse in the music streaming wars, its high-profile exclusives have kept it above the water. Every time one of Jay’s friends releases a new album on Tidal, the music app shoots up the rankings in the App Store. Now it seems Jay Z is trying to leverage his celebrity cache into a deal. 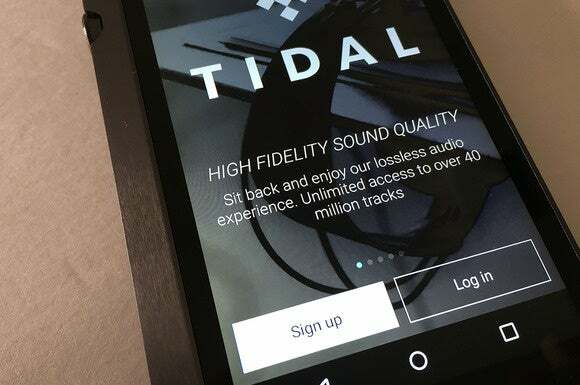 And although Apple has garnered a few wins for Apple Music in terms of exclusives on a artist-by-artist basis (most notably, Taylor Swift, and Drake), owning Tidal would give the company direct access to over a dozen music stars. Jay Z gave Tidal stakes to 19 artists in total, including Madonna, Daft Punk, Jack White, and Arcade Fire.